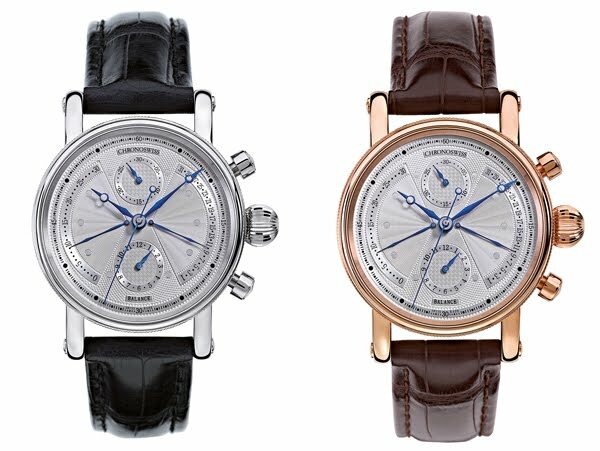 The Balance model celebrates a first for Chronoswiss while perfectly uniting demanding technology and elegant design: for the first time in its history, Chronoswiss introduces a watch with two retrograde displays. The lavishly guilloché dial of the new automatic chronograph bursts with various displays, effortlessly exuding equilibrium and creating a fascinating and perfectly balanced aesthetic. Inspired design: with some imagination, the elegant dial of the Balance is reminiscent of a butterfly. Two crescent-shaped sectors on the right and left sides take flight with the idea. One of these “wings of time” is always in motion, for the left half of the dial is where the seconds display is located, exhibited on a scale from 0 to 30. Twice a minute the second hand flies back to the start in the blink of an eye to begin a new journey toward 30 all over again. The hand within the “wing” across the way only flies back to its start once a month, since the right side of the dial shows the date in retrograde manner. Automatic Caliber C.831 is in charge of the beating of these wings, making its industry debut in the Balance. Aesthetic perfection: on the dial crafted in solid Sterling silver Chronoswiss shows its usual love of detail and filigreed elegance. An homage to the brand’s traditionally designed line, its “face” shows traces of some of the company’s most classic models such as Kairos, Lunar, and Delphis—in perfect balance, of course. 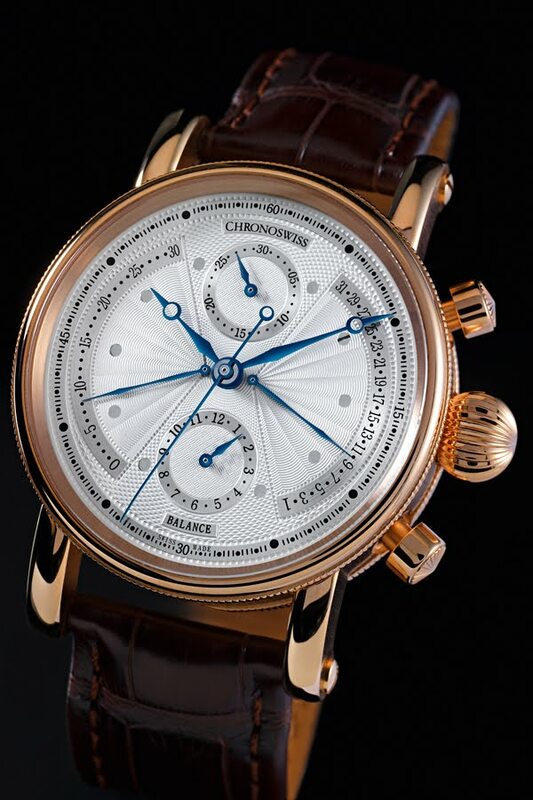 The “winged” surfaces are embellished with high-quality guilloché that resembles waves; these are lavishly framed by “threads” of Breguet-style guilloché (also known as piqué relevé). In the center of the minute and hour counters, there is a fine guilloché in honeycomb design, while a radial satin finish decorates the outer area of the dial. It is this contrasting interplay of various structures that gives the Balance model its special charm.